The quartet hailing from Alcobaca, Portugal – The Gift – has created a ten song album that represents fresh sounds and meaningful music. Altar, the band’s sixth album, was produced and co-written by Brian Eno and mixed by Flood. It is also the first album the band has sung entirely in English. Although most of the music on Altar would be considered alternative/pop, there are two songs in particular that stand out as eternal in their mood. “I Loved It All” is a symphonic anthem, wistfully reminiscent about a life that no longer exists. The lyrics are sung achingly by Sónia Tavares and the tune sweeps along behind the words. It’s a stunning way to begin. “Vitral” is also written with skill and conveys real emotion. Once again, delicate lyrics trying to soothe the listener are sung to an equally delicate tune. “Vitral” plays like a companion piece to “I Loved It All”. Altar covers the gamut of musical styles, but everything feels organic and belongs. “Clinic Hope” and “Big Fish” have an alternative staccato feel that reminds one of early Talking Heads. On the other hand, “Lost and Found” and “What if…” have a dream-like quality to them, thoughtful slower paced. 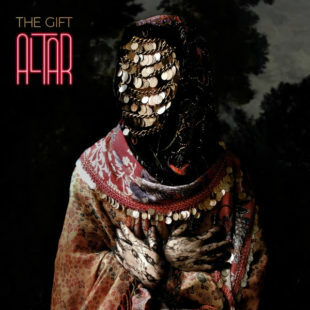 Altar will become a favorite on your playlist, as The Gift does not disappoint. Altar was dropped digitally on April 7th to coincide with its release in Portugal. Physical copies will be available in the US on May 5th. Check out The Gift’s Paste/Daytrotter session from SXSW to get a little more info on the band!